What do you do when hard times come and emotions of anger, sadness, or anxiety creep in? Do you rely on family for support? Go for a run? Organize a fun shopping trip with friends? What if you didn’t have any of those tools to cope with? 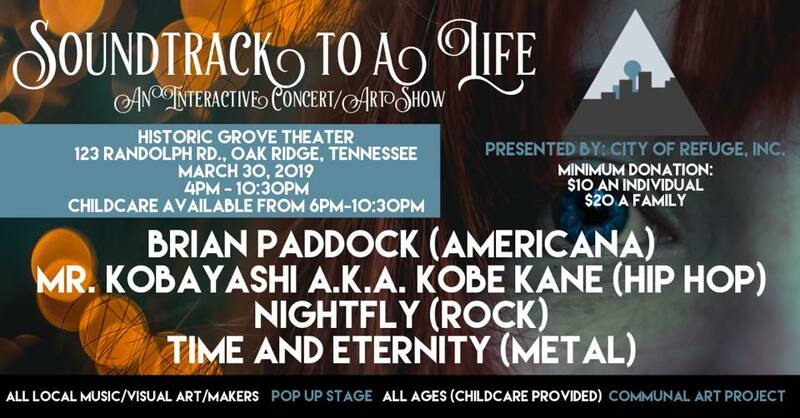 This interactive concert/art show follows the life of a fictional girl who was taken from her family and put into foster care, away from everything and everyone she knows. Each band/musician creates the soundtrack to the story, a soundtrack to her life. We want this to be an experience that helps start a conversation about how trauma can affect a life, provides opportunities for families to learn new healthy creative coping skills, and introduce our new program we are working on and will be starting this Spring! Please, come and join us in helping ALL of our community become more resilient to traumatic life situations (ACEs). This is an All Ages show and childcare will be provided by our volunteers.